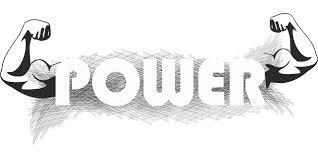 Power is defined as the amount of work performed per unit of time. The ability to exert a maximal force in as short a time as possible, as in accelerating, jumping and throwing implements. While strength is the maximal force you can apply against a load, power is proportional to the speed at which you can apply this maximal force. To assess the client’s explosive power in a vertical direction. 1. Position the client so that he or she is standing with equal weight on bilateral lower extremities, approximately shoulder-width apart. 2. Have the client push back the highest reachable marker on the dedicated proprietary device to mark the zero starting position. If you are not using the using the dedicated proprietary device, have the client hold a piece of chalk in the hand closest to the wall on the side of measurement, and instruct him or her to reach as high as possible and make a mark on the wall for the zero starting position. 3. Record the mark as the zero starting position. 4. For the jump, you can choose from various opposite hand positions (hand on hip or behind back, or free to use during the jump); however, ensure that the hand position remains constant during pre- and post-testing. 5. Instruct the client not to move the feet and to flex at the knee, hip and ankle, then to jump, pushing back the highest reachable marker on the dedicated proprietary device. If not using the dedicated proprietary device, instruct the client not to move the feet and to flex at the knee, hip and ankle, then to jump and place a second chalk mark as high as possible on the wall. 6. Note that reasons for disqualification during testing include any irregularity in placement of the first mark on the wall (e.g. not having the feet flat) and taking a step prior to jumping. 7. If you are using the dedicated proprietary device, the client’s score is the vertical distance between the zero starting position and the highest reachable marker. If not using the dedicated proprietary device, the client’s score is the vertical distance between the two chalk marks. Record the best of three trials to the nearest 0.5 inch (1.25 cm). Klavora, P. (2000). Vertical-jumb tests: A critical overview. Strength & Conditioning Journal. Reiman, M.P. and Manske, R.C. (2010). Functional Testing in Human Performance: 139 Tests for Sport, Fitness, Occupational Settings. Journal of Sports Science & Medicine.